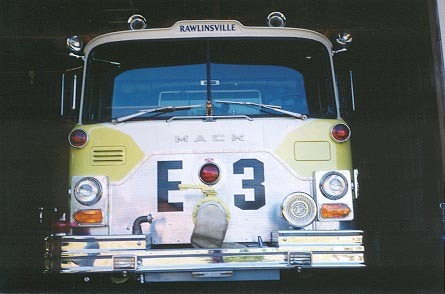 Fall 1997 - The night Rawlinsville Engine 583 was struck by a car while returning from an auto fire. 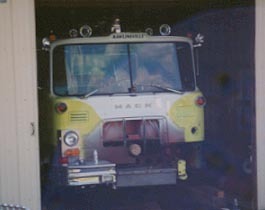 April 1998 - A view of Engine 3 the morning after it was purchased and brought home. 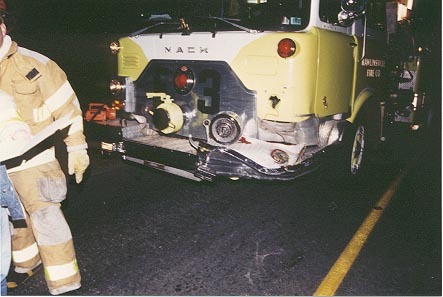 May 1998 - Engine 3's damaged front end is stripped away. Let the refurbishment commence. 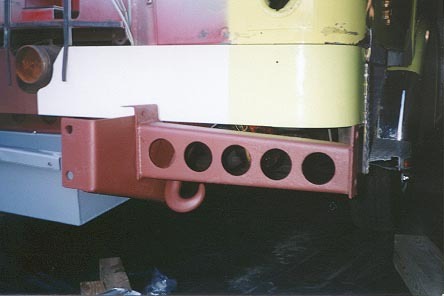 June 1998 - The bumper frame has been straightened and primered. Also, the driver's side lower front sheet metal has been replaced. 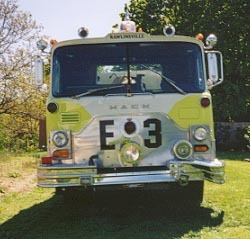 June 1998 - The stainless steel front grill and Mars Light have been re-attached. 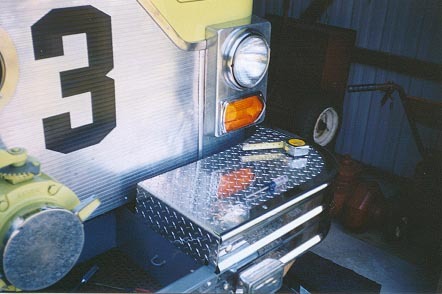 June 1998 - A new diamond plate bumper piece was fabricated and a 'used' bumper wing was attached. 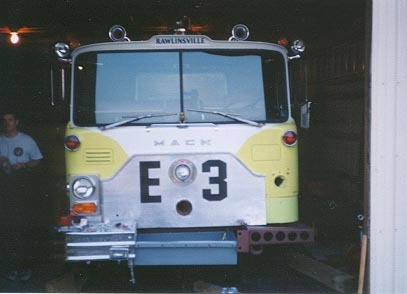 June 1998 - The re-assembly couldn't be complete without the return of the Federal Q! 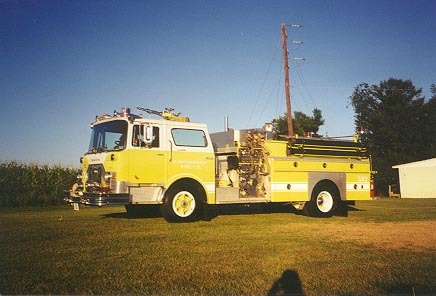 July 1998 - Engine 3 is returned to glory.